The National Weather Service has a page up on the "historic" (their word) storm of July 30. There is an automated rain gauge at the county service building in Ellicott City, and it recorded 6.6 inches of rain that night. 2.04 inches of that rain fell in the first 15 minutes, which is about as fast as rain ever falls, and 4.56 inches in the first hour. 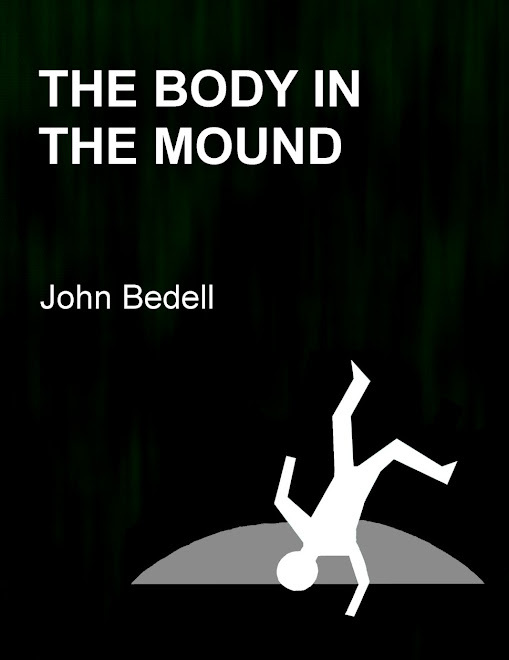 It was that extremely intense burst of rain that generated the dangerous flooding; the water simply fell faster than creeks and sewers could carry it away, and since the area is hilly the rest went rampaging downhill in whatever way it could. The map above shows the storm's 40-mile path; dark red represents more than 6 inches of rain. 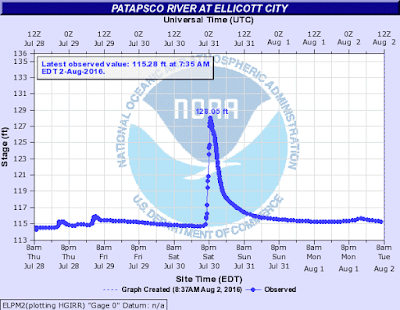 Data from the flood gauge in the Patapsco at Ellicott City. 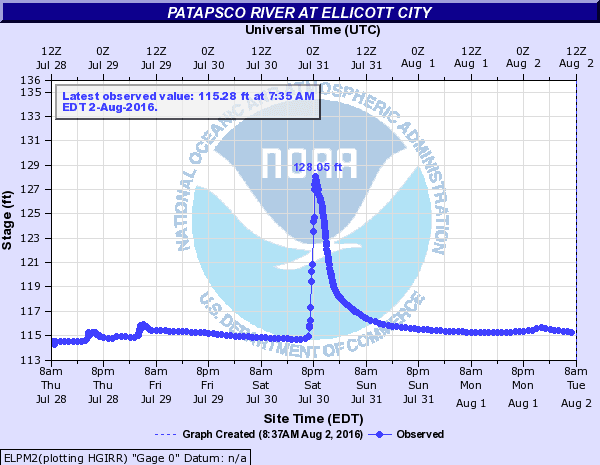 Even though the rain fell over a small area, just a fraction of the Patapsco's basin, it was still so intense that it generated a severe flood in the river, which rose 13 feet in 90 minutes. This was a thousand-year storm, that is, chance of such a storm striking our area is less then 0.1 percent per year. 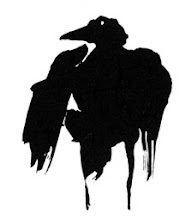 My first post on the storm is here. Meanwhile, where I'm from, 6 inches of rainfall in a moderately heavy storm is typical and uneventful, and the truly severe storms run closer to twice that much. The difference is that areas which are used to heavy rainfall are also used to preparing for it, and they build their infrastructure such that drainage is effective. It often feels to me like in almost all of these cases of flooding, the problem is a lack of sufficient drainage infrastructure, which is something they never get around to implementing because people don't expect to ever need it. But of course you never know when you might actually need it. That's why we typically engineer and build bridges to be able to withstand loads and forces many times in excess of what we expect to ever reasonably need. Engineers know the value of "overbuilding", because there's always the danger of that one random fluke or single extreme case where going above the normal maximum will be unavoidable, and then if you lack the extra buffer, it all goes terribly awry.